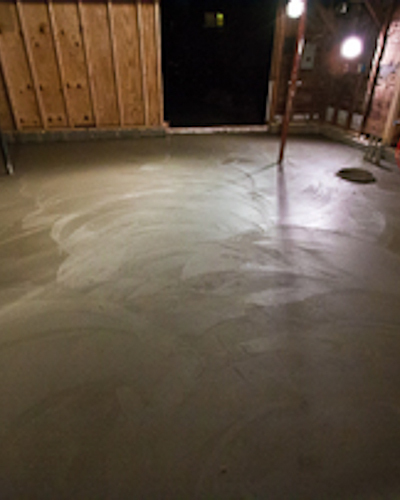 Properly prepared concrete basement floors will pay for themselves many times over, especially in the high water table areas in the tri-state area. 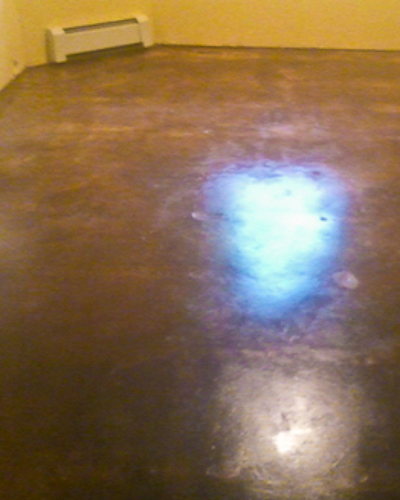 When there is little desire for additional flooring materials, such as in basements and garage,s concrete stains and epoxy are a go to choice for creating a beautiful look and much more durable than concrete paints. 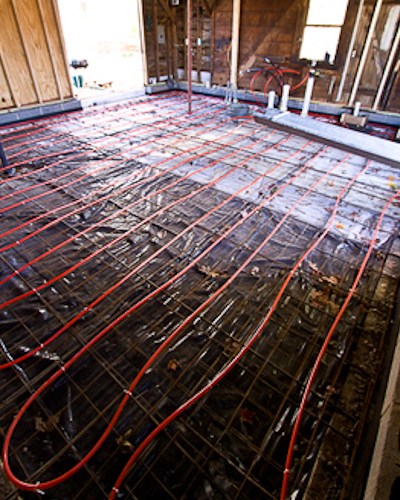 Radiant floor heating is a wonderful option for many floor types and is seamless under tile and wood flooring as well as concrete. 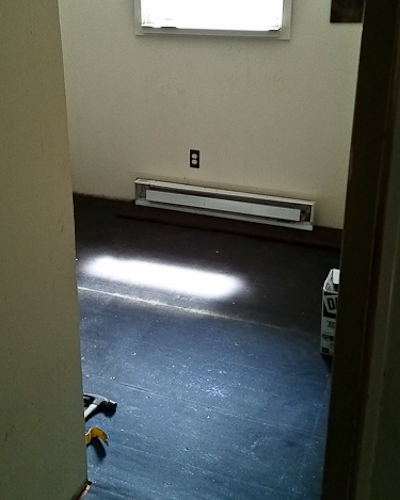 Studios, garages, basements and bathrooms can often be retrofitted with radiant tubing or mats to take into consideration existing floor heights during renovation. We recently found a new love! A passion for construction goes hand in hand with a passion for historic construction. In our prefab everything world we get tiny goose bumps when we find tool marks in stone. It's fun (for stone geeks) to figure out how the old school guys did what they did. 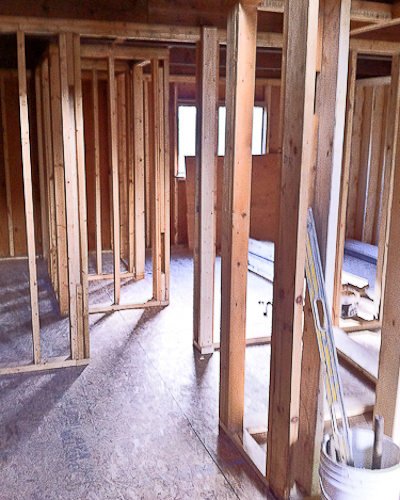 No power tools, no man lifts, just raw determination and massive amounts of old world skill. 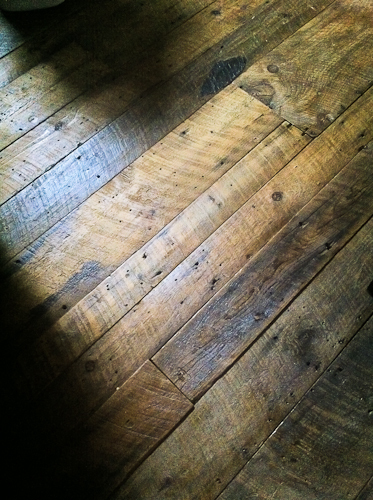 As well as stone, we looove old woodwork and have been giddy about the reclaimed wood trends. 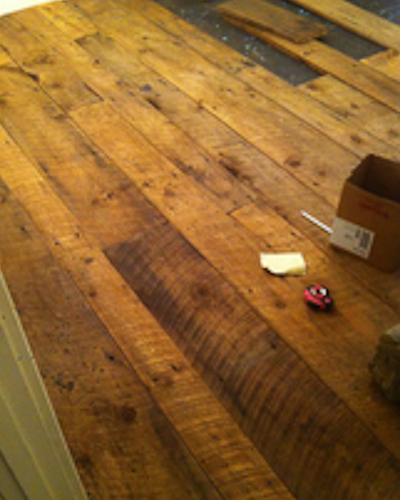 While we have admired it, and discussed it, we have not had the opportunity to try a reclaimed wood project until now! In the course of a project we had we needed to rip down an old barn. 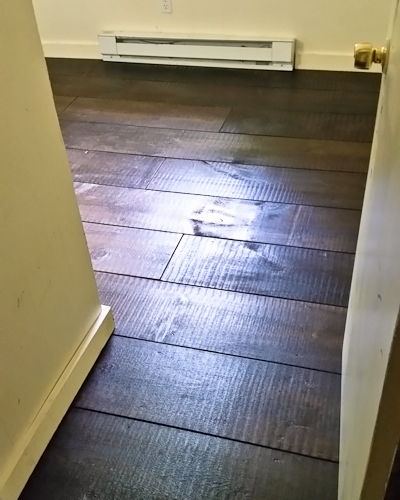 I simply couldn't bear to see all that fabulous old wood going into the dumpster so we saved some of it to see how it would work as flooring. 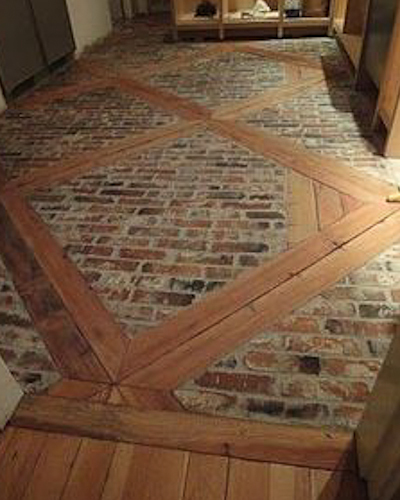 This type of project requires a lot of skill with a hand saw but the results are amazing! 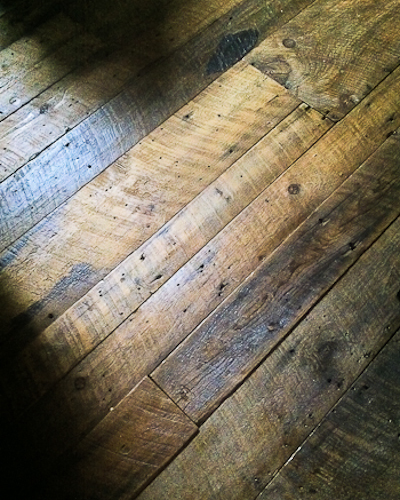 Traditional building materials create beautiful custom floors. 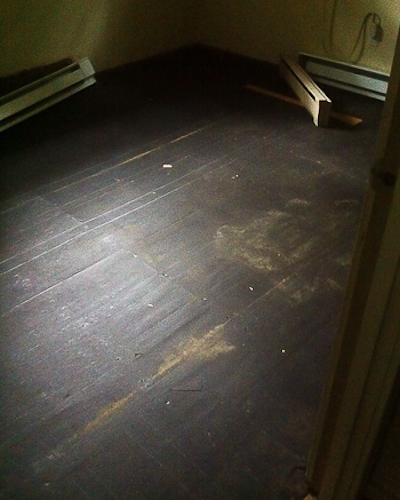 When you are looking into new flooring options for your home do not get stuck on what is available in the box stores. Custom floors can be both economical and stylish. 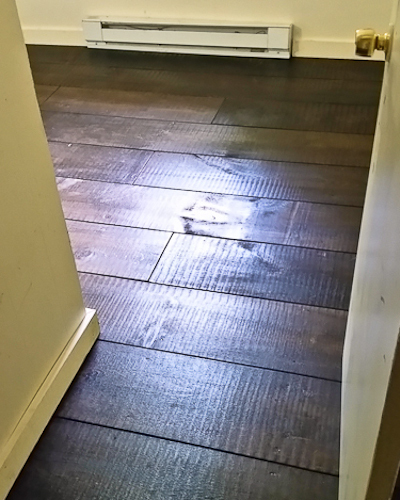 True custom flooring works in harmony with your home's existing features and provides long lasting value for your investment. 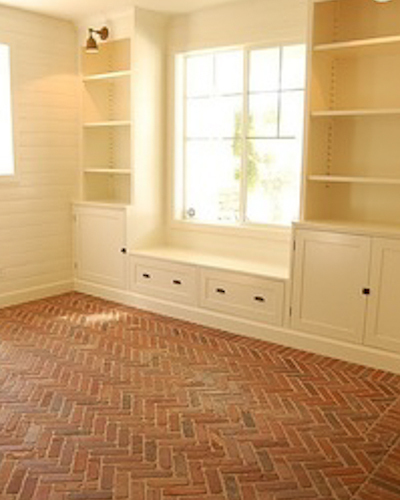 Beautiful brick ideas have invaded our interior spaces far beyond the old brick fireplaces. Brick flooring is an amazing high quality flooring with endless styles and applications. A small powder room can become an amazing space with a brick floor or brick countertop. Mud rooms are an obvious choice but kitchens have become wholesome, warm and wonderful with the addition of real brick materials. 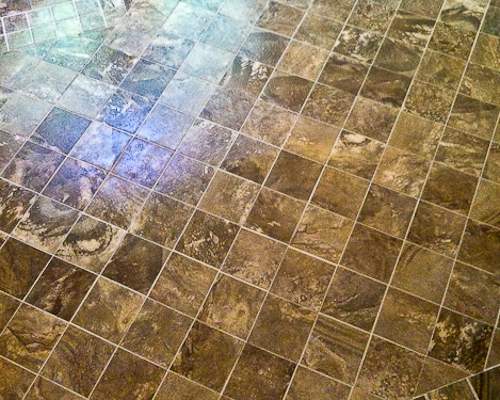 Follow Bill Pearn Masonry's board Flooring on Pinterest.